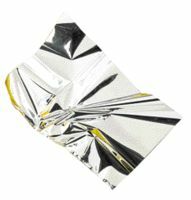 Swift First Aid mylar laminated blanket guards against cold. 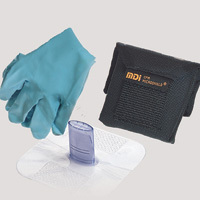 Body heat is maintained within the blanket and is ideal for treatment of a shock victim. This item cannot be shipped to APO/FPO addresses. Ideal for travel--weighs just 22 lbs. Rear handles fold down for easy storage and transport. Loop brakes and seatbelt for safety. Full-length padded armrests. Convenient swing-away, detachable footrests. 12" wheels with dual-sealed bearings for stability. Black nylon upholstery with blue powder coated frame. Capacity (Weight): 300 lbs. 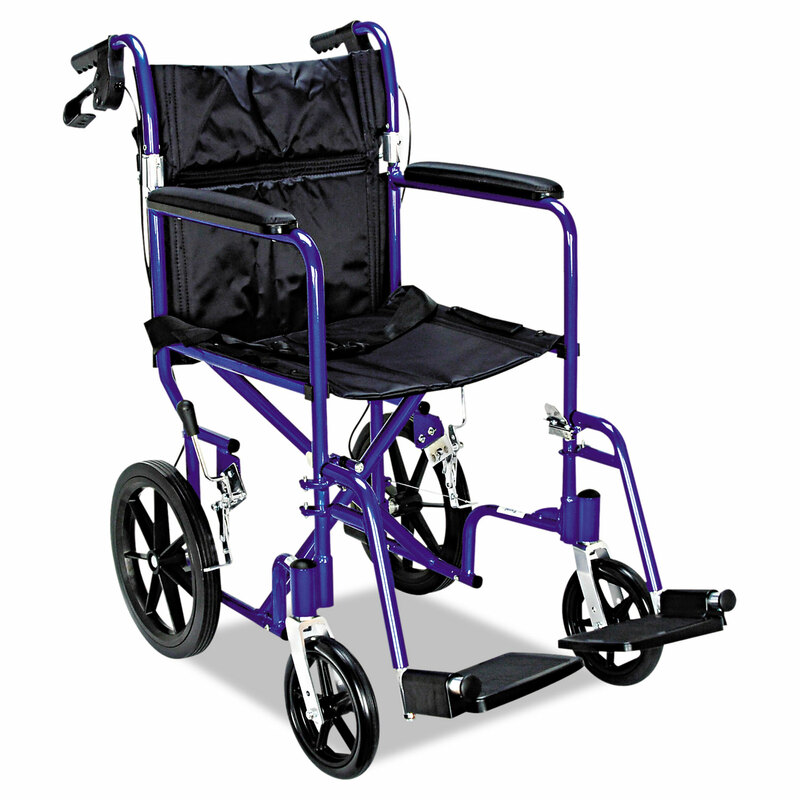 ; Base/Frame Material(s): Aluminum; Seat Width: 19"; Seat Depth: 16". 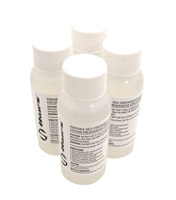 Model 9082 bacteriostatic water preservative additive for use in portable eyewash stations. Four 8 oz. (236 ml) plastic bottles are included in one carton. This preservative is to be used only with clean potable water. When used as directed, one 8 oz. bottle will preserve 6 to 20 gallons of potable water for up to six months. Shelf life is up to two years Shelf life is up to two years Four bottles per carton This item cannot be shipped to APO/FPO addresses. 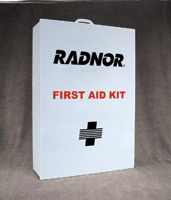 Stand-alone packaging for larger size first aid kits and cabinets. 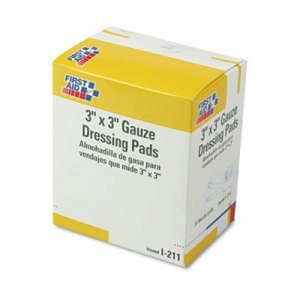 Wound dressing sterile gauze dual pad packs. 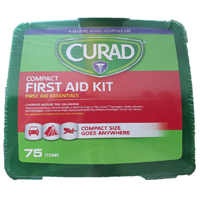 Width: 3"; Length: 3"; For Use With: First Aid Cabinet Refills; Description: Sterile Gauze 3 x 3 Dual Pad Packs. 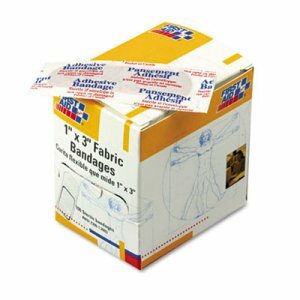 Strong-woven cloth tape is perfect for affixing wound dressings. 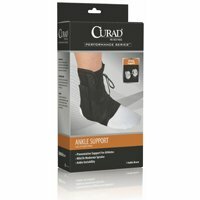 Water-repellent and flexible, it keeps gauze pads securely in place, making it a top choice for active individuals. Hypoallergenic. Latex-free. 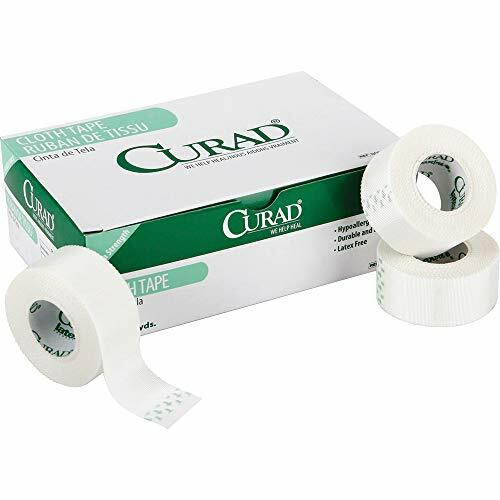 Tape Type: Medical; Adhesive Material: Acrylic; Width: 1"; Size: 1" x 10 yds. Wall mount for quick, easy access Ideal for companies with multiple work areas within a facility Meets ANSI Z308.1-2003 Standard Measures 28-1/2"H x 19-1/4"W x 6-5/8"D This item cannot be shipped to APO/FPO addresses. 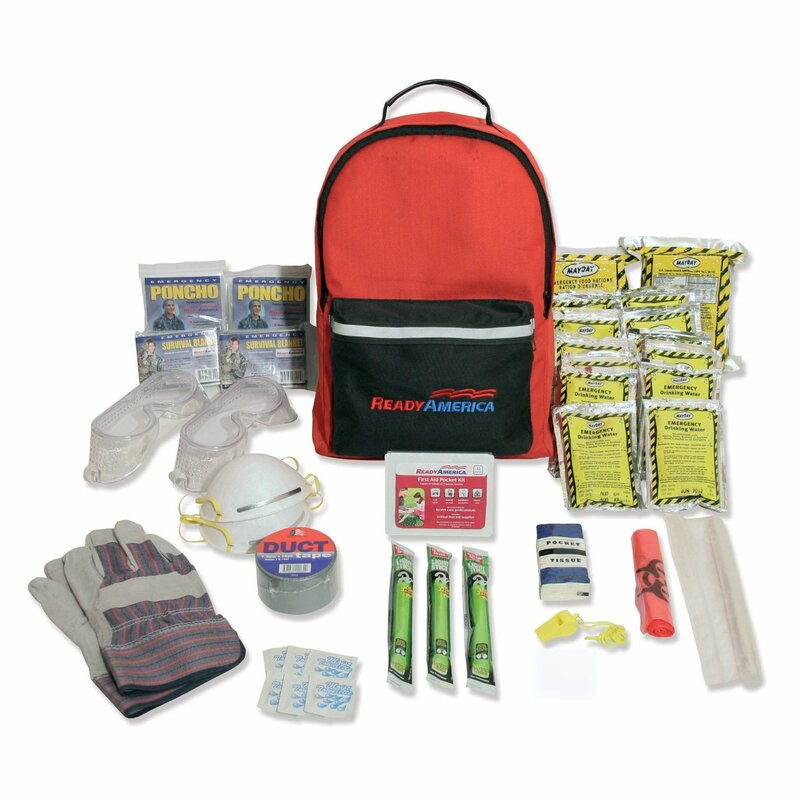 One-person emergency pack to take on the go. 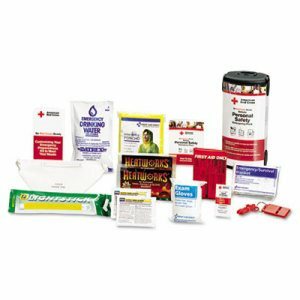 These basic supplies could prove vital in an emergency. Supplies will keep a person warm and dry, help them stay hydrated, and treat minor injuries. A lightweight, modular design makes it easy to stow, grab, and carry. Tear-resistant nylon backpack has plenty of room for personal items. Endorsed by the American Red Cross. 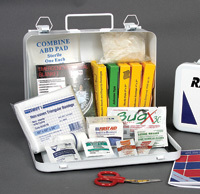 System Capacity: 1 Person System; Contains: Emergency Blanket; Emergency Drinking Water Pouch; Germicidal Wipes; Hand Warmers; Light Sticks; Mini First Aid Kit With Assorted Bandages and Antiseptics; N95 Particulate Face Mask; Nylon Backpack; Rain Poncho; Vinyl Gloves; Whistle With Neck Cord. 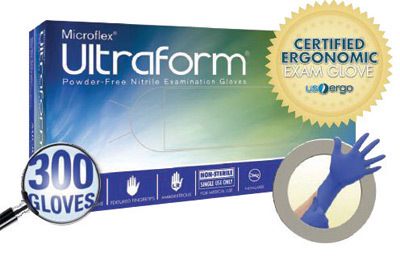 ; Case Material: Nylon; Width: 8 7/8". 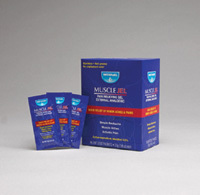 Pain Stoppers Extra-strength pain relief of headaches, muscular aches and pains. 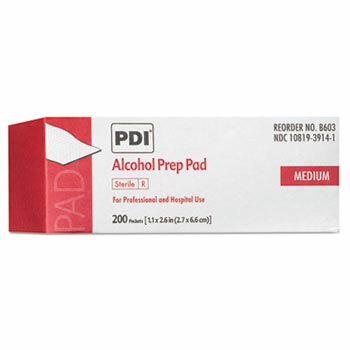 Active ingredients: aspirin 325mg, salicylamide 152mg, acetaminophen 110mg and caffeine 32.6mg. This item cannot be shipped to APO/FPO addresses. 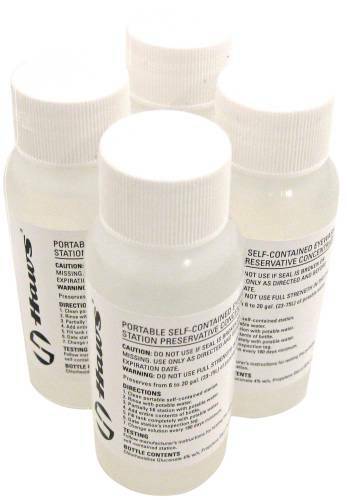 Pre-Mixed Replacement Saline Solution- Use directly from the container to refill the eyewash station. No mixing or measuring required. Preserved, buffered, pH-balanced, saline solution. For use with the Porta Stream I, II, III. 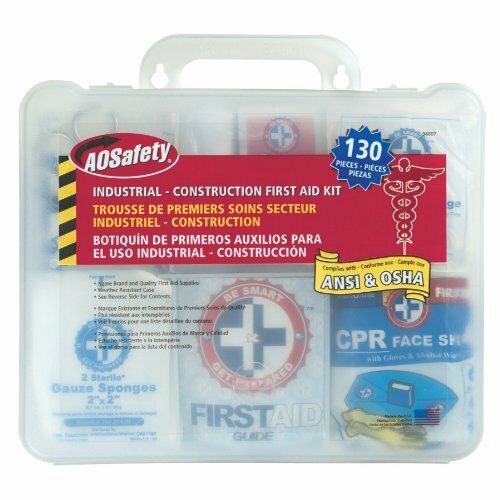 30-month shelf life when unopened / 6 months once opened, from date of manufacture No mixing or mesuring required for preserved, buffered, and physiologically correct saline solution. Prior to refilling the station must be cleaned to remove contamination from the station walls. This item cannot be shipped to APO/FPO addresses. 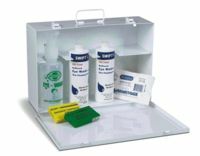 HAWS BACTERIOSTATIC EYEWASH PRESERVATIVE ADDITIVE, FOR USE IN PORTABLE EYEWASH STATIONS. 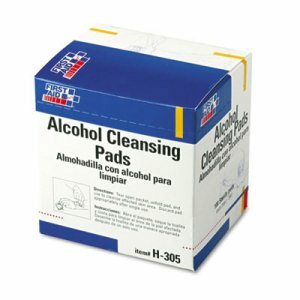 HAWS BACTERIOSTATIC EYEWASH PRESERVATIVE ADDITIVE, FOR USE IN PORTABLE EYEWASH STATIONS. 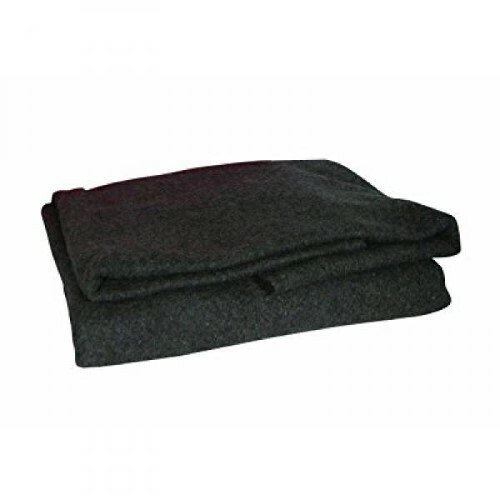 Swift First Aid blanket is 90% wool, fire resistant and can be used to smother flames. This item cannot be shipped to APO/FPO addresses. 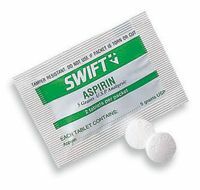 Aspirin 5 grains provides effective relief from pain and discomfort of muscular aches, cold and flu symptoms and fever. This item cannot be shipped to APO/FPO addresses. Wall mount for quick, easy access Ideal for companies with multiple work areas within a facility Available with standard fill, or can be customized to meet your company's specific requirements Meets ANSI Z308.1-2003 Standard Measures 28-1/2"H x 19-1/4"W x 6-5/8"D This item cannot be shipped to APO/FPO addresses. 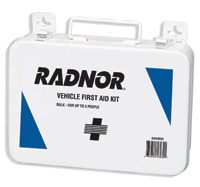 Weatherproof vehicle first aid kits contain supplies for most minor roadside injuries. 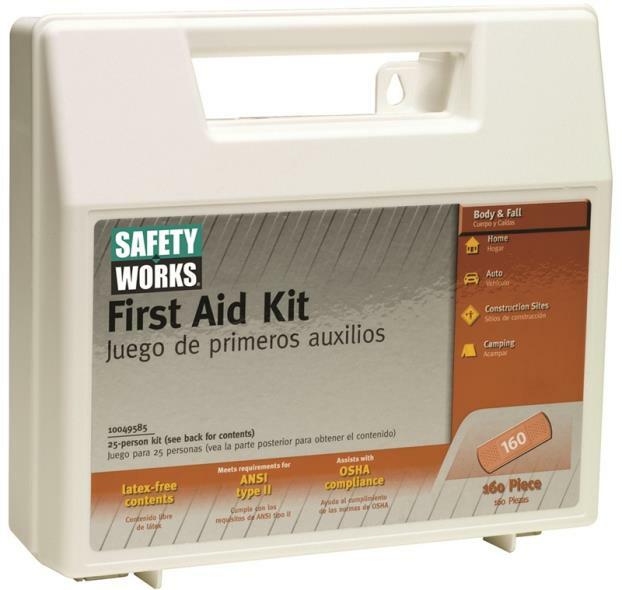 Durable steel case Waterproof This item cannot be shipped to APO/FPO addresses. 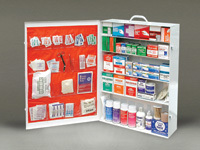 Perfect size for medical cabinets and first aid kits. This item cannot be shipped to APO/FPO addresses.